I made a chocolate cake, but unfortunately didn’t gauge my cocoa powder well. I didn’t have enough to make my standard chocolate buttercream, so I improvised. Nothing goes better with chocolate than peanut butter, and this light frosting complemented my cake perfectly! 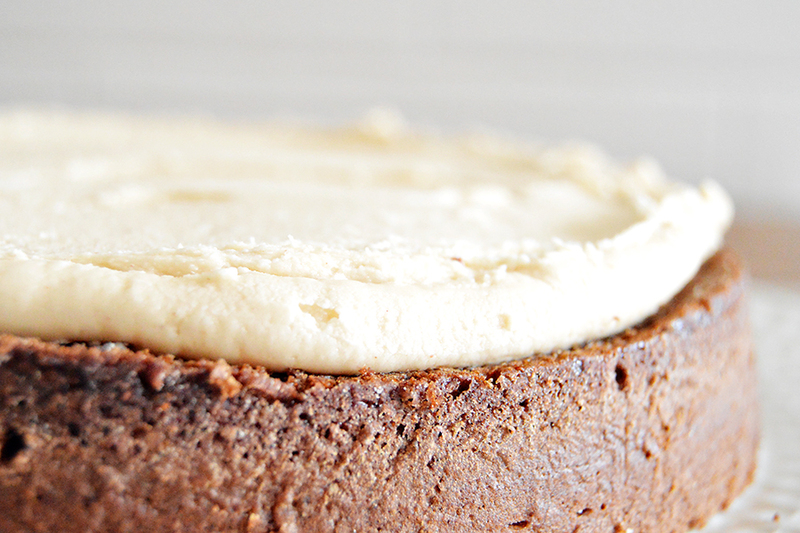 Frosting can be tricky – I spent years thinking I was just really bad at making it. My frosting was always drippy or goopy, and even if it tasted good, it always looked a little sketchy. Years ago, my mom showed me how to make the absolute best buttercream frosting ever (you can find the super-secret recipe here). Since then, I’ve been creating frostings based on that recipe. 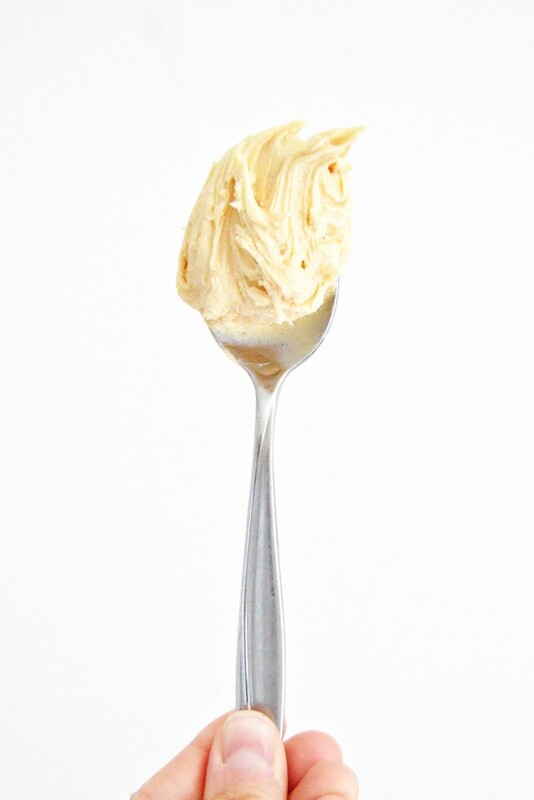 This peanut butter frosting adds the delicious nutty flavor to a frosting that holds its shape, pipes well, and crusts. Light and fluffy peanut butter flavored buttercream frosting. Beat butter and vanilla until fluffy. Add powdered sugar and milk and mix until desired consistency is reached. What’s your favorite frosting flavor? Leave a comment and let us know! Thank you for sharing this! Peanut butter is one of my all time favorite foods. I am pinning this so I make it for our next birthday. i can think of several places to use a frosting like this, not the least delicious of which would be a rich chocolate cake. absolutely mouth-watering!! I use this on my chocolate cupcakes but I also add 2-3 tbsp maple syrup, and instead of milk, I use 2 tbsp whipping cream. Ooh! That sounds so good! I might have to give it a try 🙂 Thanks for the idea. Can’t wait to try this recipe, I’ll be using it for my son’s birthday cake! Just wondering if you know it makes enough to cover and go in between two 8in round cakes or if I’ll need to double it? I’d definitely double it. Good luck and happy birthday to your son!! OH WOW! Was my husbands response! I made this tonight Happy Spouses day. One small change. Instead of milk I added Kahluá! Mmmmmm… all I can say. Sneaking frosting is always a solid choice 😉 Banana blondes and PB frosting sound like a great match! It’s really easy to make. I sifted my powder sugar and it turned out really good. I bet sifting makes the frosting even fluffier!